Hong Kong-based shipping company, Seaspan Corporation has purchased four panama container ships form the bankrupt and helpless South Korean container carrier, Hanjin Shipping. The vessels were sold by a consortium of banks led by the Export Import Bank of Korea and Germany’s HSH Nordbank. 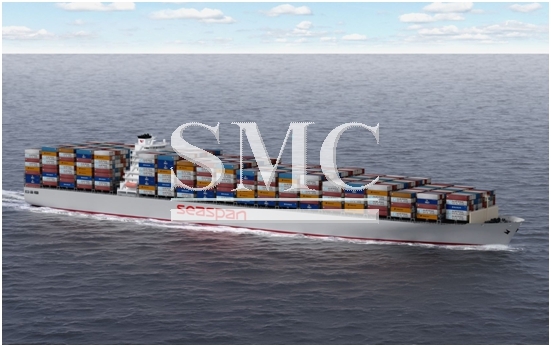 Each container ship is of equivalent capacity, 4,275 twenty-foot equivalent units (TEU’s). The vessels were built by South Korea’s Samsung Heavy Industries between 2008 and 2009. Each vessel was sold for USD 5.6 million. Last week, Hanjin’s compatriot Korea Marine Transport Co (KMTC) entered into an identical deal with the consortium of banks. KMTC also bought four 4,275 TEU Hanjin boxships, all built by SHI in 2008, for a combined price of USD 22.4 million. There are a number of auctions going on around in various countries, auctioning off the Hanjin ships, primarily the countries are situated in Europe.